Eneclann at Who Do You Think You Are? Live! We’re back this weekend at the Who Do You Think You Are? Live! Show. This year you can find us in the Irish Section at stand 544, meaning that you can trace your Irish family history in the one spot with many experts on hand! 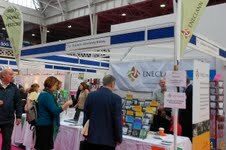 The show runs from Friday 22nd to Sunday 24th February at the London Olympia. Visit the Eneclann stand to get our publications at a special show discount price, to enter our great competition and to find out more about our research services. Find out more about the show – hope to see you there! On Friday 15th March, we’ll be conducting a one day genealogy immersion workshop at the National Library of Ireland. The morning session will cover civil registration records, the 1901 and 1911 Census, internet sources and newspapers. The afternoon session will focus on Valuation Office records, and customs and traditions around life events in nineteenth century Ireland. Participants will be provided with take-home materials, including the speakers’ notes, CD-ROMs, and a trial subscription to findmypast.ie. Tickets are €45 (including tea/coffee and buffet lunch), but places are limited so we advisebooking in advance. We’re pleased to announce two competition winners this newsletter! 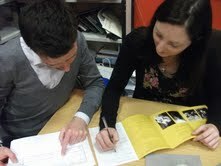 Joseph Kirwan from New York is the winner of this month’s Ireland of the Welcomes subscriber draw. Joseph has won himself an Eneclann CD of his choice. Maurice Hurley is the winner of our special Christmas traditions Facebook competition. He has won €40 worth of his choice of Eneclann CDs or downloads. Maurice, drop us an email at marketing@localhost to arrange your prize. Well done to both of this newsletter’s winners! We have some great titles on the archaeology and antiquities of Ireland that those of you with historical and archaeological interests will find fascinating. 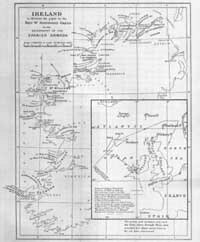 One of our download only titles, Spotswood Green, The Wrecks of the Spanish Armada on the Coast of Ireland, from the Geographical Journal is an exceptional resource for the study and location of the doomed Armada ships off the Irish coast. Combining his intimate knowledge of the Irish coastline with Spanish, English and Irish sources Green provides a fascinating insight in to the fate of many of the ships of the armada as well as the crews. William F. Wakeman, Archaeologia Hibernica, A Handbook of Irish Antiquities, Pagan and Christian from 1848 marks a transformation in the study of archaeology in Ireland. Wakeman’s aim was to educate the Irish to the richness of their own past. Containing 91 illustrations, this seminal work is as important today as it was then. 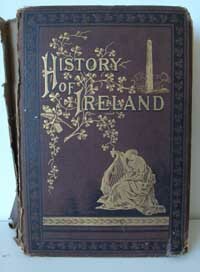 If you’re more into the history side then check out Sylvester O’Halloran’s History of Ireland from 1850 which is a monumental defence of Irish history and culture and one that should not be missed by anyone interested in Irish history and the first part of which rightly takes it place as one of the first refutations of Anglo-centric view of Ireland. Alternatively you could try The Abbé Mac Geoghegan’s The History of Ireland, Ancient and Modern which remains eminently readable and recounts the history of the county from its pre-Christian pagan origins to the accession of James I in 1603. However, if it’s the archaeology and antiquities of Dublin, Limerick, Kilkenny or Laois you’re after then you might prefer one of our more specific titles that can be found on our website, or see our full range of titles. 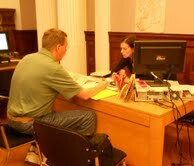 The National Archives of Ireland continue their free genealogy advisory service from 10am to 1.30pm, Monday to Friday. Some of the foremost experts on genealogy in Ireland are on-call in the National Archives to answer your family history queries.